Located In The Mystic Woods Community..Short Drive To Universities - Available August 2019! Only $700.00 per month! 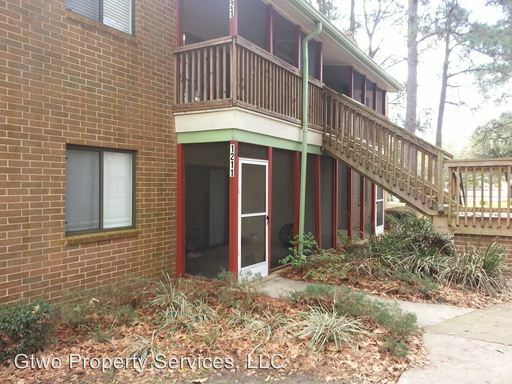 Large two bedroom, one bath condo located in the Mystic Woods Community on Mabry. The property is located within 1.5 miles of Florida State and within walking distance to Golds Gym, restaurants and shopping. The property comes equipped with all kitchen appliances, washer & dryer (stackable), central heat & air, ceiling fans as well as engineered wood, carpet and vinyl flooring. The property is located on the second floor and has a large screened in front porch that's accessible via a sliding glass door. This is a great property at a great price! Give us a call today to schedule a showing! I am interested in viewing this rental. Please send me more information about 317 Mabry Street Unit #1211, Tallahassee FL. Thank you.